This week, I interview a good friend of mine named Tony Young. Here’s what he had to say. What evidence can you give for God’s existence? I’ve seen things in people’s lives… forgiveness, mercy, healing, that I can’t accept are a simple part of humanity, a standard part of nature. I work in the best pizza place in Georgia, at the Buzzery, making people happy one slice at a time. While I love the Ephesians 6 “Armor of God” passages, my favorite single verse is John 3:16. Repeating it always gives me a little light in my day. 4. Who is your favorite Biblical figure besides Jesus? I like Ehud, from Judges. God used him to free Israel, through wits and stealth, like some Metal Gear video game, and he was left handed. 5. What kind of person are you? I’m very much a gamer, playing a variety of board, computer, and roleplaying games. I also have an interest in creature acting. Being that guy that goes through a lot of make up, doesn’t get a lot of press, but gets to be that cool monster on the screen. 6. What was your childhood like? My childhood was rough. My father was a drunk, and wasn’t there most of the time, and we grew up really poor, in a trailer. I didn’t have many friends, but it taught me to appreciate the simple things, like people, and food. 7. Who inspires you to be a better person? Every person I meet that has a little hope or joy in their heart makes me want to be a better person, so that I can keep that spark going, that God will use me to keep that little bit of innocence or happiness alive in this darkened world. 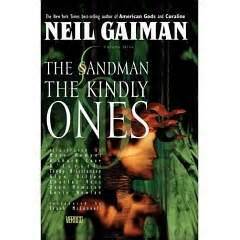 The story of Sandman’s penultimate and ninth volume was hinted throughout the series. Everything was building up to it. Desire’s lust for power. Hector Hal’s wife Hippolyta’s hatred of Dream. Her infant son Daniel even visited the House of Mystery in a previous volume. This is the main reason Vertigo was my favorite thing about DC. They gave the creators more freedom than DC’s main line titles. Gaiman was allowed to decide when his story would end. DC could’ve pressured him to keep it going longer than he wished, but they let him decide its finale. Season three of Legend of Korra is my favorite season. 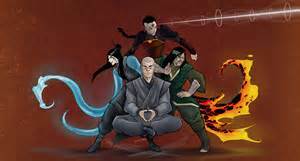 It was the most intense of the seasons, and it introduced the Red Lotus, an evil counterpart of the White Lotus, a secret organization to helping the Avatar that was introduced in the original series. I should point out that their leader, Zaheer, was voiced by none other than Henry Rollins. I don’t know if he’s worked on any other cartoons, but he should. I should also mention they introduced a new form of bending with Ghazan, who bent magma. According to the mythos, this can only be achieved if one is born of both fire and earth benders. Sadly, however, Nickelodeon proved to be the greater villain. Nickelodeon doomed the show from the start by airing Korra on Friday nights. For those who don’t know, Friday is traditionally the “death slot”. Very few programs have ever lingered on Friday nights. (The only ones that comes to mind are X-Files and ABC’s TGIF block) It is where many programs have gone to die. Nickelodeon failed to promote the show enough to even give it a chance. A mere three weeks after the season had started, Nickelodeon axed the show. Instead, the remaining eight were aired on Nickelodeon’s website. And I for one do not like the way Nickelodeon’s website is designed. Episodes are not displayed in the proper order, and you don’t even get all the episodes. They need to take a cue from Hulu’s design. Image Description: Kai, one of the new air-benders introduced in Season Three. Getting back to the show, we learned that random people were being bestowed air-bending powers, as if nature itself was attempting to restore the balance that was lost when their nation was all but destroyed in the original series. Lord Tenzin was eager to revive the Air Nomads by training these new recruits. One, Opal, was actually a descendant of Toph and lived in a nation of metal-benders that Toph founded. 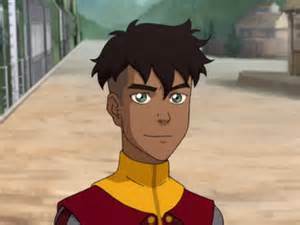 Another one named Kai became Jinora’s new love interest. Jinora herself was on her way to receiving her tattoos, a rite that would show she had mastered the teachings of her people. Her grandfather, Aang had the very same tattoos, and her participation in this ritual was one of my favorite moments in the entire series. I’m a member of quite a few Facebook groups for autistic people. When I announced that I was thinking of writing a series of posts about fictional autistic characters, I asked around for ideas. 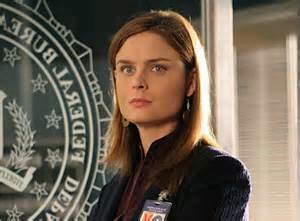 One character that was constantly suggested was Dr. Temperance Brennan, played by Emily Deschanel on the Fox TV series Bones. Since I’d never watched the show, I decided to try it out and found it intriguing. I’m only on season 2, and I’m still enjoying it. Dr. Brennan is a forensic anthropologist in Washington DC. She and an FBI agent named Seeley Booth (David Boreanaz) solve murders together. Helping them are her students, or as Booth nicknames them in the pilot, “squints”. “When the cops get stuck, we bring in people like you. You know, squints…to squint at things.”–Booth. Dr. Brennan is a very engrossed scientist. She sticks with every case to the end. She is especially intense if the case involves children. This ties into her past as a foster child. It was a traumatic experience for her, and several episodes touch upon her past. Image Description: A boy is kneeling and has blue masking tape and wears a necklace with the autism neurodiversity symbol on it. Next to him is Suzanne Wright, the head of Autism Speaks. She has an unkind expression and is saying “They’re voiceless, the poor things.” Credit is Idrawhumans. First of all, I never read your magazine. Celebrity gossip doesn’t interest me. However, when I saw one of your articles for your July 1, 2015 issue, I had to respond. Autism Speaks is “Crusading” Against autism? How dare you? Do you realize what you are implying? A crusade is a holy war. 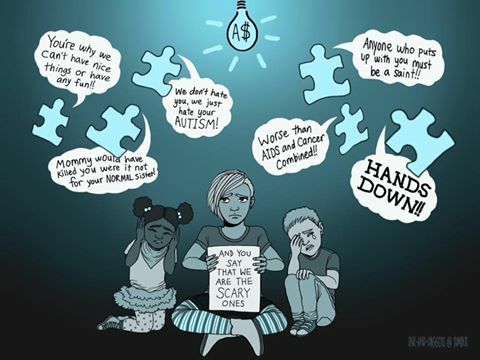 You are implying that autism is akin to cancer. Like Suzanne Wright, the head of Autism Speaks–who you interviewed, you are saying that autistic people like myself are better off dead. Do you seriously believe that a person who is diagnosed with autism is in worse state than someone diagnosed with cancer?